Portraits come in various configurations. While they typically take the form of a single image bearing material integrity, likenesses built out of a sequence of impressions also inhabit time based media. Printed media, which in certain respects bridges the first two possibilities, suits less conventional subjects and forms a third option. Here I am thinking of publications such as guide books, travelogues and historical chronicles, works that concern themselves with the evocation of places and events as opposed to individuals. The engaging new publication Local Curiosities, a collaborative project by Aleana Egan & Pádraic E. Moore, operates in this manner. Presenting a portrait of the South County Dublin coastline, this work references such literary genres and diverges from them. The principal upshot of this project is that it changes our perceptions of the region and the ways in which it may be understood. 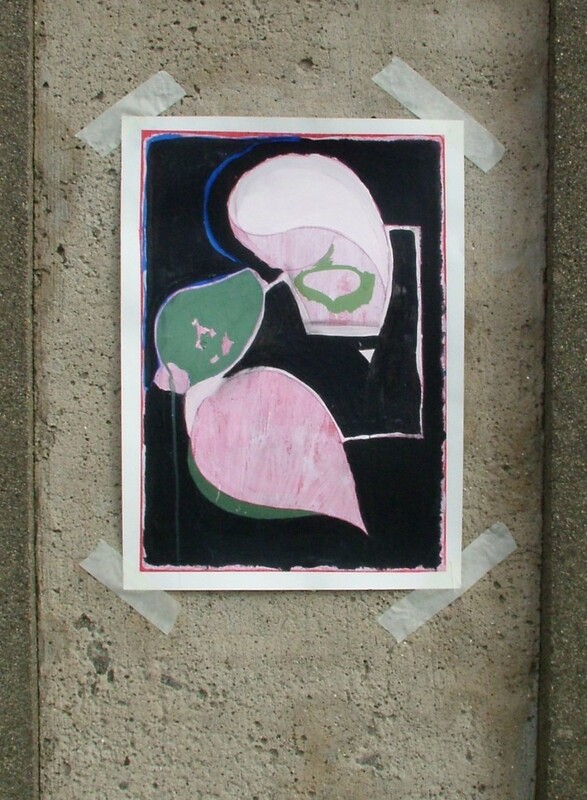 Aleana Egan: Sea-Women Posters, 2005; Image courtesy the artist. In many respects the publication feels like a guide book. It feels comfortable in the hands, which encourages one to flip through its pages. I soon found myself doing this over and over again. Leafing through the book reveals a broad spectrum of information. Alas, a table of contents could not be found. Then it hit me: the map on its front and back covers also served that purpose and I could see the book comfortably ensconced in a pile of maps and travel brochures. While turning the pages the eyes glimpse snippets of text and a generous assortment of newspaper clippings, various brochures, old postcards, historical portraits and views of monuments. They also come across numerous recent colour photos. These include Aleana Egan’s photographs documenting the shoreline, specific sculptures, monuments and architectural features. Examples of contemporary art work by artists such as Dorje de Burgh, Carole Cullen, Fionn Regan and Gary Coyle are also included. The initial visual experience introduces us to the textures of the location and the breadth of the area’s cultural history. Closer examination reveals affinities that cross time zones. Whereas Carole Cullen’s canvas Maroon Room (2010) evokes the aura of a 19th century interior, images of structures built by Dún Laoghaire art students in the 1970s recall Colm Brennan’s late 1980s sculpture Stele for Cecil King and the Killiney Obelisk. 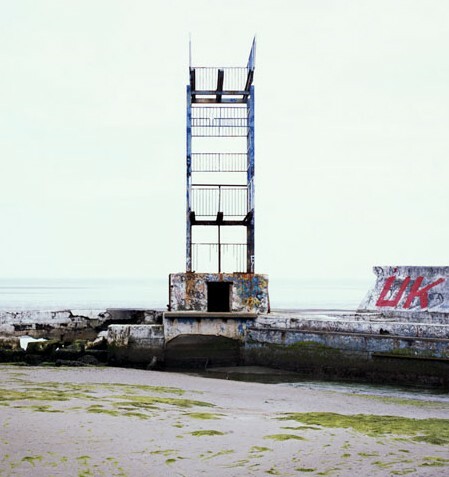 Peter Connor: Renascene Image 1 (Blackrock Baths), 2010; Image courtesy Aleana Egan. The selected texts complement and enhance the visual material in addition to providing historical detail. Excerpts taken from the writings of Weston St. John Joyce, Virginal Woolf, Iris Murdoch and others speak of land and sea, art and architecture, and distinguished inhabitants. We read about technological developments, poverty and leisure pursuits, murder, heroism, rumour and myth. The book, for example, introduces us to the Seapoint orthopaedic specialist who claimed “malevolent lichens” cause osteoporosis and reminds us that George F. Fitzgerald, a Trinity College Dublin scientist, collaborated with Marconi to produce the world’s first live radio sports report at the Dún Laoghaire Regatta in 1898. The book, in effect, takes us down all sorts of alleys. It helps us imagine what once existed, provides context for existing fragments, and amuses through the inclusion of imaginary tales. James Morris saw Venice as a place full of perpetual echoes. 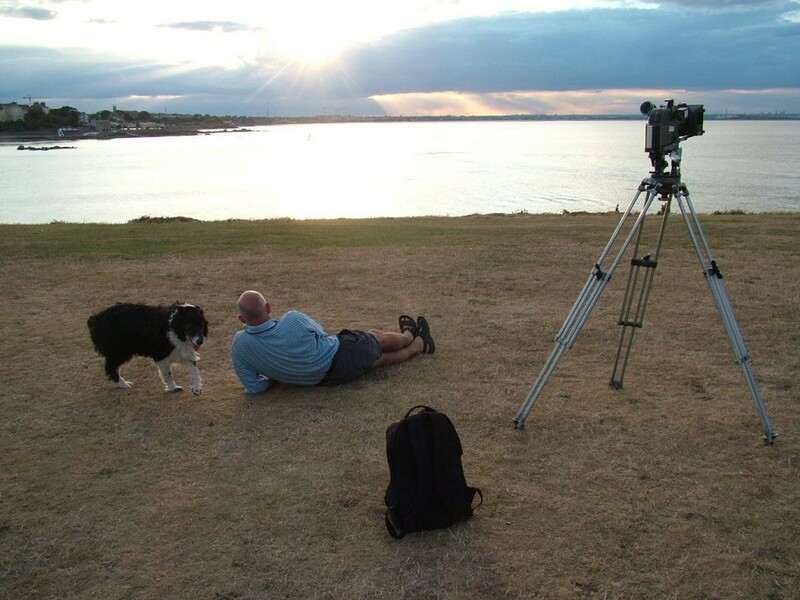 He wrote: “Here the past and the present have been repeatedly smudged, so that the old often seems contemporary and the new is quickly streaked with age.”[i] Local Curiosities paints a similar picture of the South County Dublin coastline. It takes readers on a colourful journey in which past and present, and fact and fantasy are interwoven. The work ignites a sense of wonder about some of the most common features. Its contents convey humour, It gets us questioning the potential meaning of road signs or wanting to look for house names that intimate kinship with an extremely hazy Druidic past. For residents of the area, it augments one’s sense of place and instills an awareness of local history, especially those landmarks that have or have not been preserved. It also reminds us that the built environment is anything but monotonous. Rather, it constantly changes; thus our relationship to it is subject to constant revision. Fortunately, one does not have to be familiar with the region to enjoy perusing this work. This compendium educates, elicits humour and conveys the ambiance of a unique location. Moreover, this collectin of historical information, anecdote and contemporary works of art begets reflection, not only on what does and does not exist, but also on the complex relationship between the two and the many ways they reflect each other or intersect. Aleana Egan: Man with a Movie Camera, photograph, 2006; Image courtesy the artist. 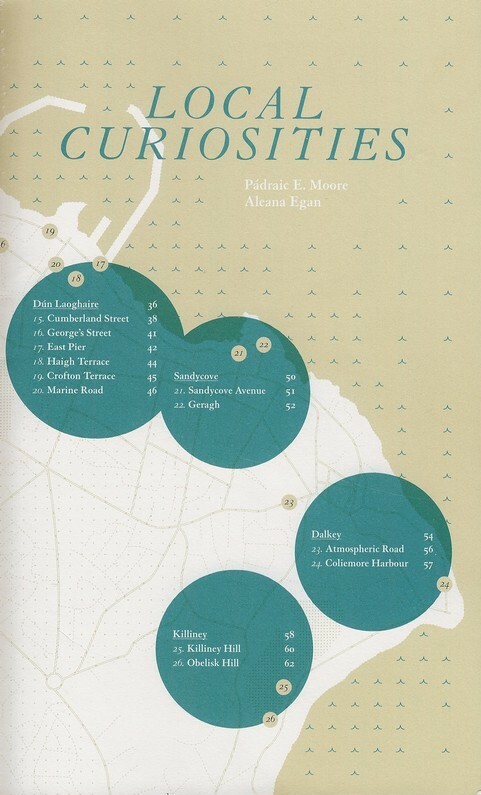 Local Curiosities, Aleana Egan & Pádraic E. Moore, front cover, 2011. Local Curiosities, self published with financial assistance from Dún Laoghaire-Rathdown County Council, 64 pages, 23.8 x 14.8 cm., paper. Published December 2011. Copies of the book are available directly from Pádraic E. Moore. Contact: padraicernestmoore@gmail.com. [i] Morris, James, Venice, London: Faber & Faber Limited, 1986, reprint of the second revised edition (1983), first published 1960, p.211.